As a part of an education consulting team I’m often hired to support schools and districts solve complex challenges-- from redesigning teaching and learning, to building leadership capacity, aligning initiatives, increasing staff retention, and restructuring professional development. In all of this work the underlying, often unspoken, need that most teams want our help with is improving team and organizational culture. They want to know how to make schools and districts more effective, engaged, fun, collaborative, creative, and innovative so that they can make transformative and lasting change. In response to these requests I spent the past three years exploring, thinking, researching, and talking about what it takes to create a culture of innovation. Last January I put together a blog post with ten tips for creating a culture of innovation. As I traveled across the country, I shared these tips with school and district leaders. Leaders found these tips useful and were grateful for a new frame for thinking about culture and innovation. However, just as many leaders continued to find it difficult to know where to start. 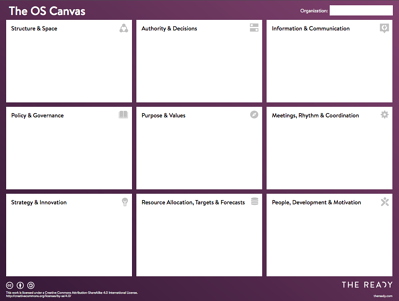 I often heard: How do I take ten ideas and know which is the right one for my organization? How can I assess what we need and where to start? How do I know which lever of change to pull on? The school and district leaders I work with aren’t alone in feeling this way. In Deloitte’s 2017 Global Human Capital Trends survey, 88 percent of their 10,000 respondents believe that building an organization of the future (an organization that is flexible and innovative) is an important or very important issue. Yet only 11 percent of respondents believe they understand how to build an organization of the future. 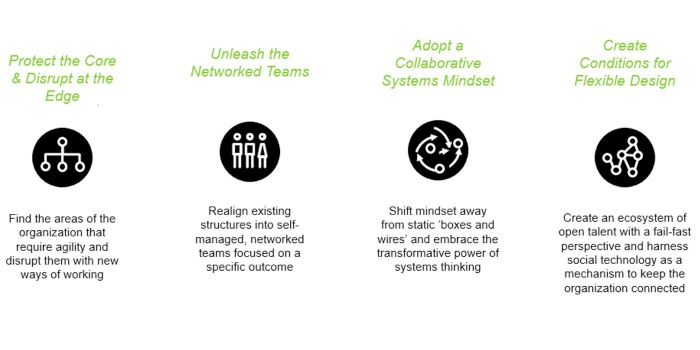 The Recipe For Change framework below is meant to help all of us who know we want to build flexible, innovative, collaborative organizations, but don’t know where to focus our efforts. 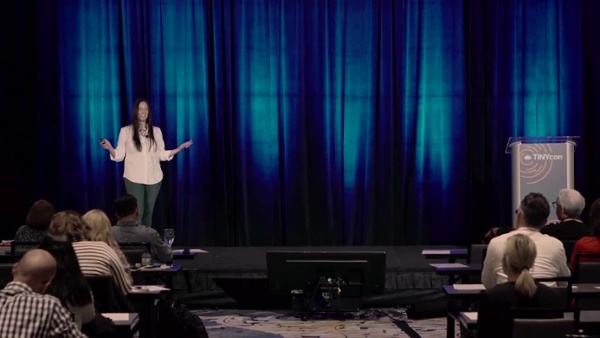 Deeper Dive: Check out my talk, "Five Ingredients to Create a Culture of Innovation", at TinyCON. It is with this focus on actions (behaviors) as a way to shape outcomes (culture) that I started thinking about the areas of my own life where actions and outcomes have a close link. My mind immediately went to cooking. I’ve always loved food and flavors. As a child, my favorite “chore” was planning and cooking weeknight dinners for my mom and sister. I’d go to our town library and scour books and magazines for new recipes to try (yes, these were the days before the internet!). As an adult, my favorite way to spend time is preparing and sharing a meal with friends and family. I’ve gotten more comfortable, with age and experience, creating my own recipes or modifying existing recipes, using my palette as a guide instead of relying solely on a recipe’s ingredients and steps. However, when I want to try something new, or find that the flavor or texture of a recipe is off, I often return to a recipe, following the steps exactly until I’ve mastered the preparation. Changing culture has a lot of parallels to cooking food. For experienced leaders who understand how to develop a culture of innovation, the five ingredients below are staples (like salt, pepper, and EVOO) that they use almost without thinking to meet the needs of their teams and organization. However, for many leaders, knowing when and how to use each ingredient can be confusing and having a recipe to follow, or at least to reference, is helpful to get started. 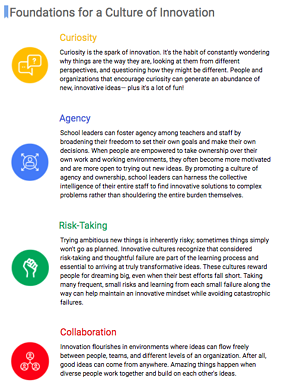 With these as inspiration, and my conversations and experiences with school and district leaders as grounding, I reflected on what have been and could be effective ingredients for creating a culture of innovation and developed the Recipe For Change framework. In this framework, I share five ingredients that are essential for creating a culture of innovation. For each ingredient, I describe what the successful use of the ingredient looks like, when you might need more of the ingredient, and ways to add more of the ingredient. Just as great chefs understand when a dish needs salt (if you follow Top Chef as closely as I do, you’ll know a few grains of salt can make a huge difference! ), great leaders diagnose when their teams need more agency, curiosity, or trust. 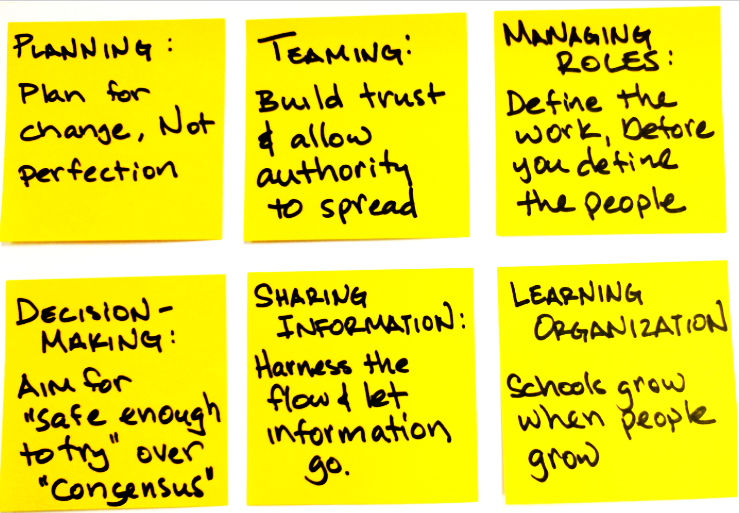 If you pay attention to the five ingredients above - notice when they’re missing or need to be reinforced, and take action to develop them - you will be able to create a culture where your teams are more effective, engaged, and innovative. I’ll dive more deeply into each ingredient in upcoming posts. In the meantime, share how you and your teams are using these ingredients by tweeting @kearaduggan or emailing keara@edelements.com. 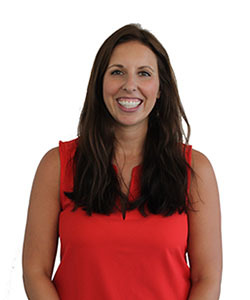 Keara is a Managing Partner at Education Elements who focuses on how to build and scale a culture of innovation in large systems, how to create national communities of collaboration, and how to keep laughing when pursuing daunting, large-scale changes. She was lucky to collaborate with co-authors Alexis Gonzales-Black and Anthony Kim to design the website and toolkit for The NEW School Rules: 6 Practices for Responsive and Thriving Schools.